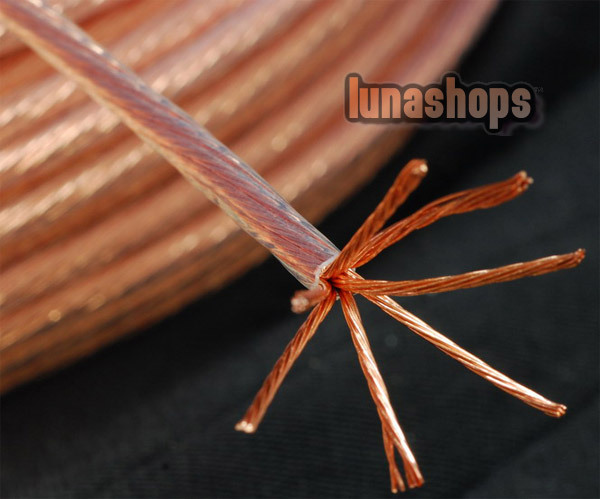 Genuine Outside Dia:4mm 49Pins*0.32mm Acrolink OCC Signal Teflon Wire Cable For DIY Hifi 99.99999% Pure Copper, High quality Teflon outside safeguard, perfect solution for use in speaker upgrade cable, 1 unit is 100cm long. 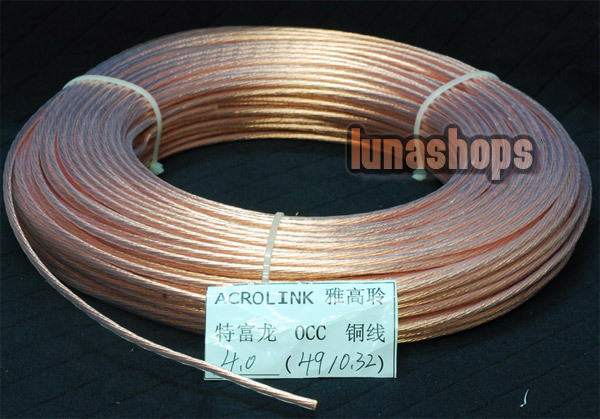 If you buy 2 unit of this item you will receive 1pcs 200cm long cable . Thanks. Tips: This kind of cable is not fit for diy earphone upgrade cable because it is a little hard. For 4 pcs 0.75mm Universal Earphone Upgrade Cable pins Plug For ultimate TF10 etc.